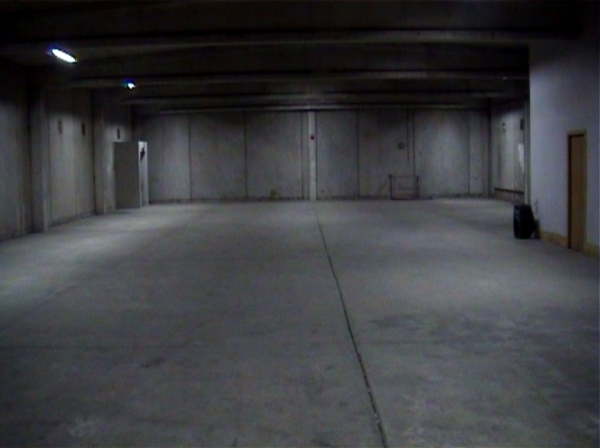 The 2002 edition of Dublin's Darklight film festival made use of a number of spaces in an old cash and carry building in an area at the end of Thomas St. that had recently been designated Dublin's Digital Hub. MIT's Media Lab had recently set up shop nearby. "A young computer whiz kid accidentally connects into a top secret super-computer which has complete control over the U.S. nuclear arsenal. It challenges him to a game between America and Russia, and he innocently starts the countdown to World War 3. Can he convince the computer he wanted to play a game and not the real thing ?" 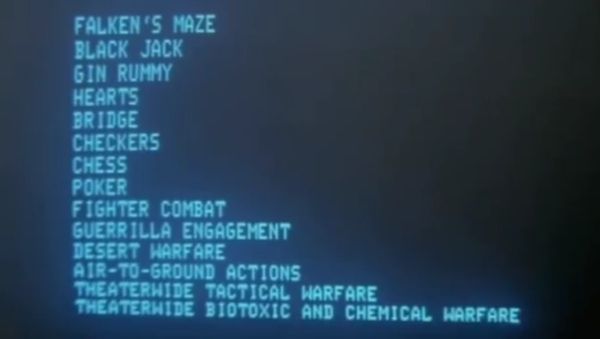 At a certain point in the action, Matthew Broderick's character is famously confronted with the question, "Do you want to play Global Thermonuclear War?". I worked my way through the movie's soundtrack, removing any sections containing dialogue or music. What remained was a series of audio files, mostly consisting of sonifications of various kinds of technologies. 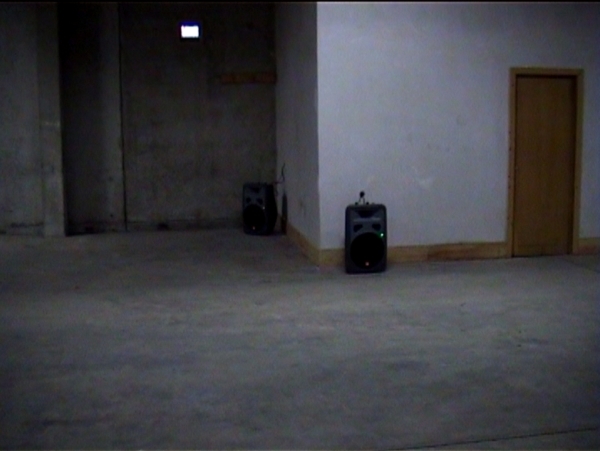 I placed a large pair of speakers and a mic in a huge resonant concrete warehouse upstairs in the cash and carry complex. The microphone was connected to a computer, allowing custom playback software to 'listen' to the space. Once the reverberation from the most recently played soundfile had receded below a certain threshold level, the next one was played. 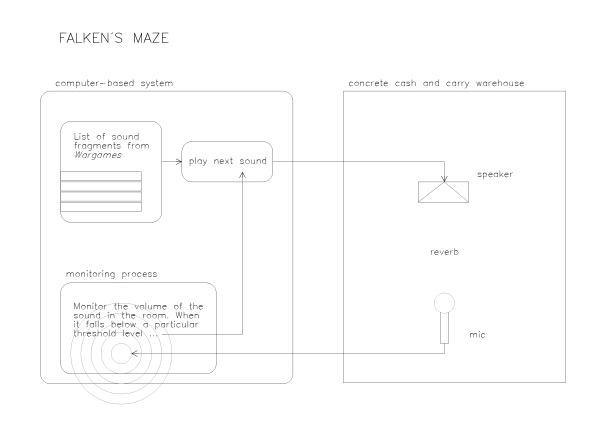 The acoustic properties of the space controlled the playback of the files via this feedback loop. The audio files were played back in the same sequence in which they appeared in the movie. Installation shots grabbed from Tim Redfern's video documentation.